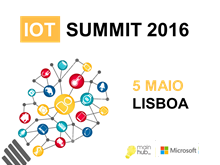 Microsoft DX Portugal is the Developer Experience & Evangelism team at the Microsoft Portuguese subsidiary. Our team fosters all of Microsoft's technology and development platform through multiple events and community relationships. On this page you can see sessions from our past technical events as well as upcoming ones. Check back regularly! You can also stay up to date on technical events and community meetups in Portugal by subscribing to our Developer Newsletter (http://aka.ms/ptdevnewsletter) or our IT Pro Newsletter (http://aka.ms/ptitpronewsletter).